Rolex is an East African street food served with a chapatti or flatbread. Rolex is meant to be eaten on the go making it a popular East African street food. Healthy and delicious, Rolex Veggie Omelette is essential East African street food. Rolex is a light and fluffy omelet is chock full of fresh homegrown veggies and mouthwatering flavor. In large bowl, beat the eggs well. Add remaining ingredients except butter and mix well. In a large warm skillet melt butter then pour egg mixture into skillet. Cook until puffed and lightly browned on the bottom then flip over and cook the other side. Carefully run a knife around edge of skillet to loosen omelet. 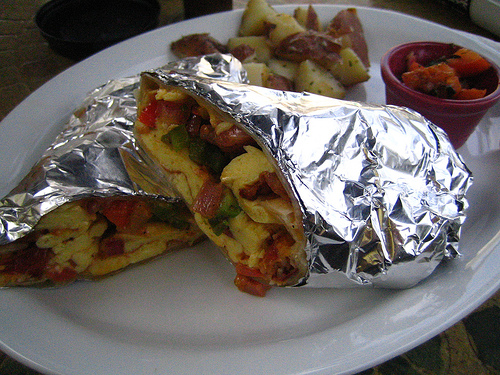 Place one piece of chapatti or any type of flatbread on top of the omelet and flip onto a serving plate. Roll the rolex until it resembles a burrito and enjoy. The egg industry is fragmented with a few major players and a number of small and medium-sized producers. Mozambique was the main importers of South African Eggs during 2011. It commanded 84% of South African eggs during 2011 followed at a distance by Angola accounting for 10%. 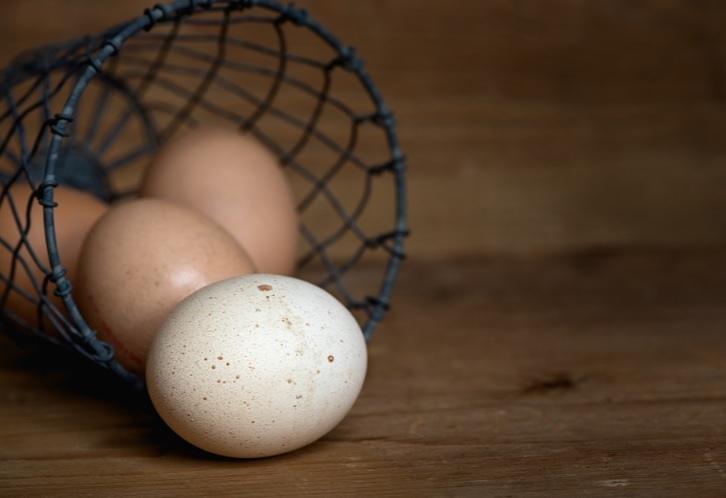 Zimbabwe dropped from being the greatest importer (45%) of South African eggs in 2010 to being the second least importer with a share of 5% during 2011. Kenya had a share of 1% in the export market of South African eggs. These eggs are produced by free-range hens that are fed on grains and pulses that are grown without pesticides, chemical fertilisers or any other genetically engineered products. Omega 3 fats, which are excellent for brain functioning, the immune and nervous systems and healthy hearts, are found in oily fish. The hens that lay these eggs are fed salmon oil as part of their diet. Omega 3-enriched eggs are not necessarily free range. The chickens that lay these eggs are exposed to sunlight and grass pastures. They have room to scratch, flap and bath in the dust. Their diet is not necessarily vegetarian, it could include insects or fishmeal. These eggs are produced by chickens that live inside, but are not kept in cages. Barn eggs are laid by chickens that are fed a vegetarian diet of grains and pulses. Grain-fed chickens don't eat commercial feed, which can include fish and chicken meal. These eggs are not free range, and not necessarily barn. The chickens may be kept in cages. These are the cheapest eggs to buy, and so make up the bulk of the eggs consumed in the country. The chickens are kept inside, in cages. They are fed with meal, which includes commercially farmed grains and pulses and processed fish and/or chicken meal. Electric lights are kept on much of the time to encourage the chickens to lay. African website teaches African centered education, African history, food, culture and news from Ancient Africa to Present day Africa.